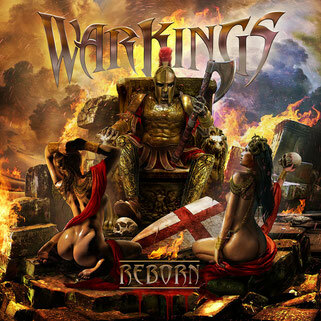 Warkings made quite a splash on the metal scene when they released the video for “Gladiator” in September 2018, with much speculation as to who these warriors might be and what do they have in store for us. One thing was clear: the music was so darn good it left many of us metalheads wanting more. And we got that with the subsequent singles “Hephaistos” and “Sparta”, and even more when the album “Reborn” came out on November 16. 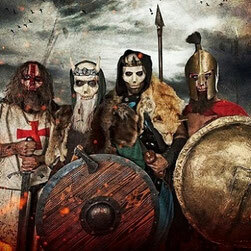 Fancying themselves warriors from the ancient times – a Roman Tribute, a savage Nordic warrior, a determined Crusader, and a lethal Spartan – the four talented musicians came together to share tales of long forgotten battles and heroes of old, making history come alive. 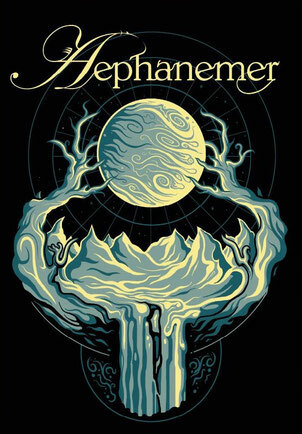 And listening to this album, one really feels like being in the middle of a battle, as the guitar, bass, and drums are relentless in their delivery of fierce sounds, while the vocals either guide you through the war zone or make you pick up a sword and join in the fight. Anthemic and very high-energy, “Reborn” will make the listener headbang to the rhythm, practice air-guitar or sing-along to the extremely catchy vocal melodies, while also delivering some interesting history lessons. But what I think is the strength of this album is the way in which they chose to tell the individual stories. From the third track onward, we get to hear more personal tales, as for instance about the God of fire “Hephaistos”, about the life of a “Gladiator” or about the battle of “Sparta” and the 300 warriors. So you are not only listening to songs that depict battles, but you are also learning about the people that lived in those times. 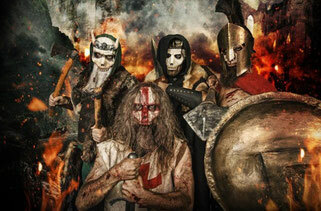 Speaking of “Sparta”, I love the mix of harsh vocals provided by The Butcher from Debauchery (or by the Queen of the Damned, Melissa Bonny, in the music video) and clean vocals, as it adds a very nice dynamic to the song. I can only hope than on the next album they will focus more on such songs, and less on generic battle chants (and don’t get me started on that horrible artwork). All in all, a strong and lively debut album, with a lot of power and aggression to it. Not necessarily ground-breaking, or innovative in any way, and I don’t think it was set up as anything other than just ‘metal for metal’s sake’. Nonetheless, it’s definitely a lot of fun listening to it, and I don’t see this as a bad thing, especially when the metal is of such great quality. So, horns up and headbang away.